It makes sense that the youngest Jonas brother has gone out on his own with a solo side project. 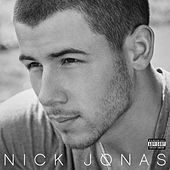 After all, the Jonas Brothers originated out of Nick's solo endeavors. Sometimes referred to as the "talented one," Nick started a Broadway career as a young child, began writing songs soon after and earned a solo recording contract by age 11. When he enlisted his brothers to help with the material for that album, everyone involved decided a brother act would be even better. Though it's very much a group effort, Nick served as both the Brothers' unofficial leader and its primary vocalist. 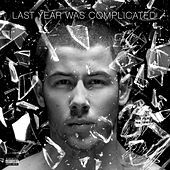 Five years, four JB albums and one gazillion screaming fans later, Nick went back to his roots with a new solo project. With backing band the Administration, Nick takes off in some slightly different directions from the tween-leaning pop-rock he makes with his brothers. Who I Am finds young Master Jonas baring his soul a bit, displaying a talent for adult-oriented rock and often getting deeply funky, thanks in large part to his collaborators, several of whom he recruited from Prince's New Power Generation.